Titanium is strong, lightweight and highly corrosion resistant almost as resistant as platinum. It is as strong as steel but only 60 per cent of the density (weight) and unlike aluminum it does not suffer from metal fatigue. These material properties are in our view perfect to produce durable, comfortable and stunning looking bicycles with. At Pilot Cycles we are convinced that the rider has to decide how their ride has to be built up. 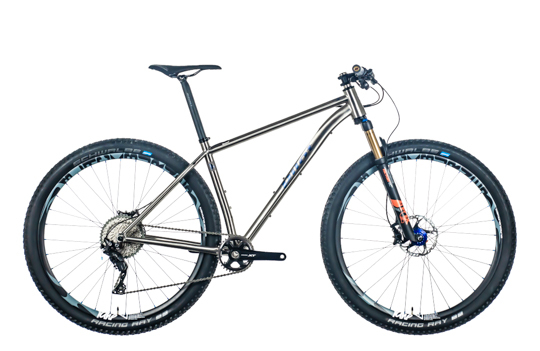 So therefore you can select your build up in our simple online bike configurator. And if the component which you would like to see mounted on your bike isn’t in our bike configurator please let us know and we’ll do our very best to get it for you. After all you decide what your dream bike looks like! 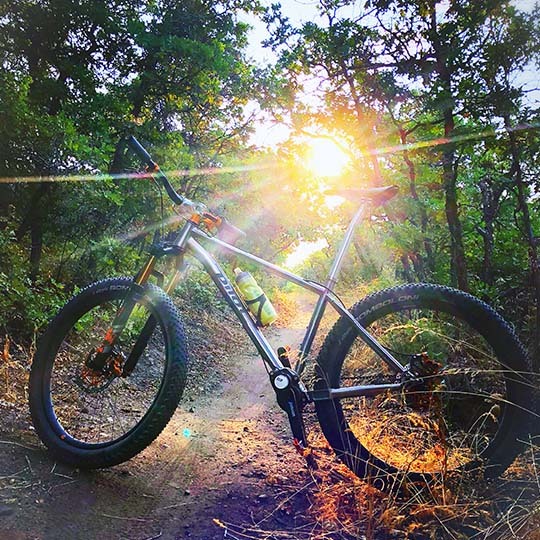 On-trail, off-trail or completely lost, the versatile all new LOCUM is a mountain bike that isn’t afraid of adventures. And with the PINION gearbox the need for maintenance is kept to a minimum, the Pinion gearbox only needs service once a year or every 10.000 km. The Gates belt drive system lasts way longer than any chain system. Mount 650B plus tires and enjoy levels of traction and comfort that will blow you away. Or switch to fast rolling 29er wheels and make yourself Strava King of the Mountain on your local trail. If you develop a sudden urge to get away from the daily hassle and stress, the LOCUM is your partner. Thanks to the rack mounts you can mount a rack and some panniers anytime you feel like discovering the world. 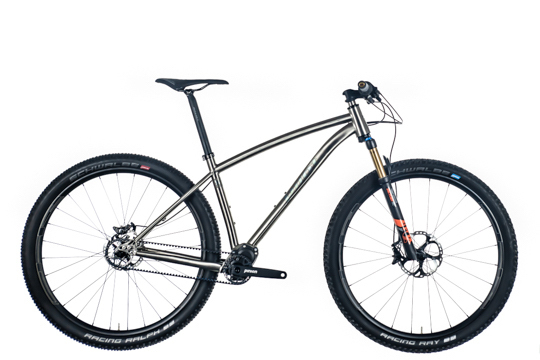 The LOCUM will be delivered with a fine, handbuilt DT Swiss wheel set, superb Shimano XT brakes and the sturdy, test winning Fox 34 fork with 120 mm of plush travel. Modern, fast agile and low maintenance wrapped in fluent lines. This balanced stock model combines internal gear of the Pinion gearbox with Gates belt drive. Low noise, low wear, low maintenance and low point of gravity for countless hours of worry free pedalling pleasure. Go fast, encounter your most adventurous roads and keep on rollin’! 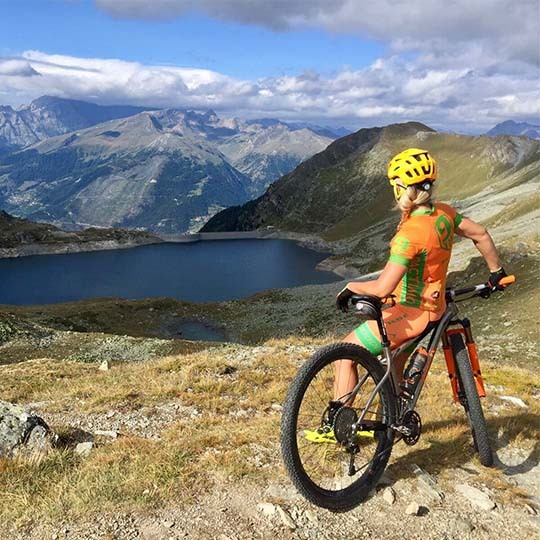 On-trail, off-trail or completely lost, the versatile all new LOCUM is a mountain bike that isn’t afraid of adventures. 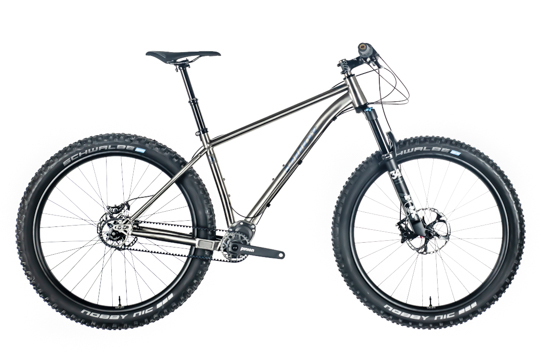 Mount 650B plus tires and enjoy levels of traction and comfort that will blow you away. Or switch to fast rolling 29er wheels and make yourself Strava King of the Mountain on your local trail. If you develop a sudden urge to get away from the daily hassle and stress, the LOCUM is your partner. Thanks to the rack mounts you can mount a rack and some panniers anytime you feel like discovering the world. 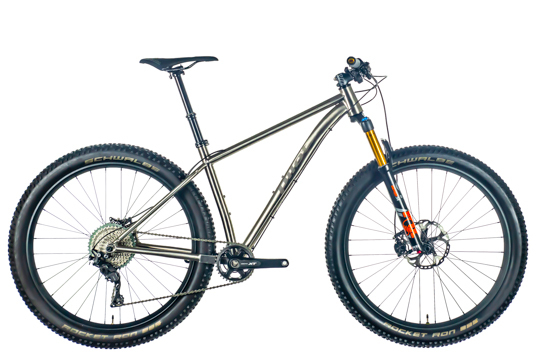 The LOCUM will be delivered with a fine, handbuilt DT Swiss wheel set, a superb Shimano XT drive train and the sturdy, test winning Fox 34 fork with 120 mm of plush travel.